At a time when most Android OEMs are rolling out Marshmallow updates to their devices, Huawei Honor 7 is not lagging behind either. The Chinese maker is apparently rolling out the new Android 6.0 Marshmallow update to this flagship, but it is only available in Europe at the moment. This update comes months after it started rolling out on Google-owned Nexus smartphones and it takes after similar delays that have seen Samsung sued for delayed updates, for instance. Initially, Huawei had promised users of the Huawei Honor 7 that the Marshmallow update will be ready for their devices by the end of February. This did not materialize; however, the good thing is that the update is finally here. The announcement was made by the company’s EU branch, saying that the update has now been seeded for this device. As it seems, the new Huawei Honor 7 Marshmallow update will be available as an over the air update. HuaweiEU has also revealed that it will be providing the software download option on its official page for those who cannot wait for the staged rolling out of the OTA update. However, this will have to wait until the end of next week. Not all owners of Huawei Honor 7 will receive the Marshmallow update at the same time. This is true because the company revealed that it will be rolling out the OTA update in stages, so, don’t panic in case you notice your friend’s Honor 7 has received the update and yours hasn’t. Even though the Huawei Honor 7 Marshmallow update is now showing up in Europe, it has taken it quite some time since the same update was seeded to Indian devices back in December 2015. There is even better news for owners of Huawei devices as the company has also promised the update will be coming to quite a good number of its devices. If you own a Huawei Honor 6, Honor 4X, Honor 4X, Honor 6 Plus, Honor 7i, Mate 7, Mate S, Ascend G7, Ascend G8, Ascend P8 or Ascend P8 Max; your device is eligible for the Marshmallow update. Whether this list will be updated or not is still not known at the moment. Watch out for the Android 6.0 M download notification on your Huawei Honor 7 and once it appears, download the update to your device. Make sure your phone is fully charged or at least connected to a power source when downloading and installing the update. To manually check for the update, go to Settings>About>System updates>Check for update. You can download the Huawei Honor 7 Marshmallow update from here. 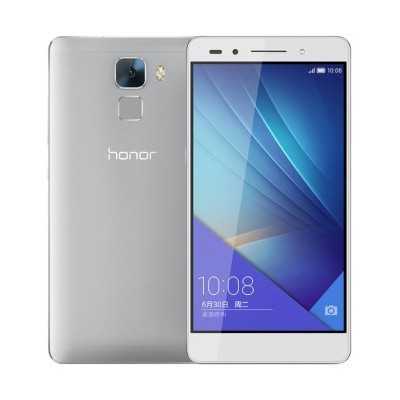 Can I know what package to download marshmallow for huawei honor 7..